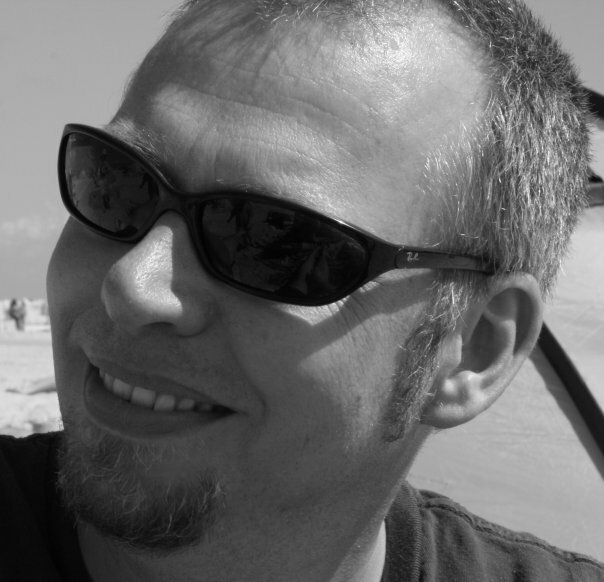 RC4Ever.com is proud to give the mic to Michael Vollmer, a very well known designer in the RC industry. For those of you who don't know him yet, don't miss this interview where he'll answer some questions and give his vision on the industry. RC4: Hi Michael, can you make a short presentation of yourself ? MV: Hello Red, my name is Michael Vollmer, I was born in 1971 in Hamburg/Germany. I am married and have 2 kids (8 and 10 years old). RC4: How did Your RC history began ? MV: I started as many others too, as a kid with RC Toy cars. At the age of 12 I bought a Jeep Renegade from Carrera. I drove it nearly every day in the area around our house. Then I visited some races, where the racers drove Tamiya Frogs, Kyosho Scorpions and other cars from that time. I remember, it was fascinating to see the cars and how drivers prepared their cars. Most cars looked like swiss cheese. All drivers tried to reduce weight on their buggies. 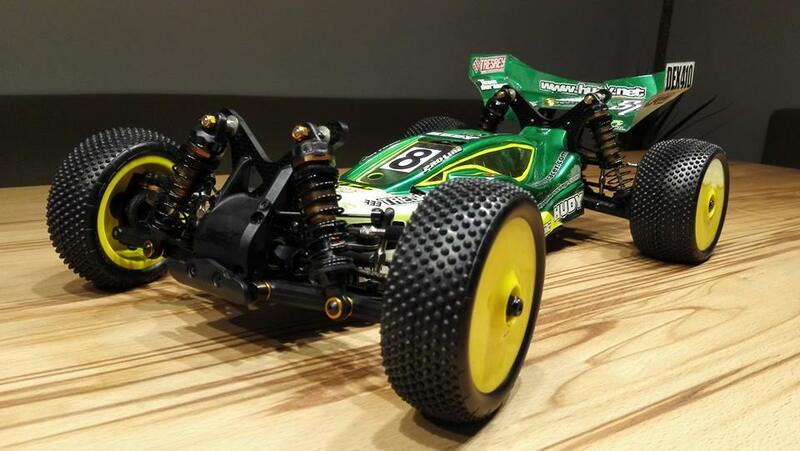 Then I had a Tamiya Frog and after the Frog a Tamiya Super Shot. I made a custom chassis from fibreglass plates for this car and entered my first race ever with this car. I was 14 years old. Over the next years I always made massive modifications on my cars – as many others as well at that time. The cars was simply not good enough and it was nothing special to make a custom chassis, new shock towers, or other modifications on the cars. 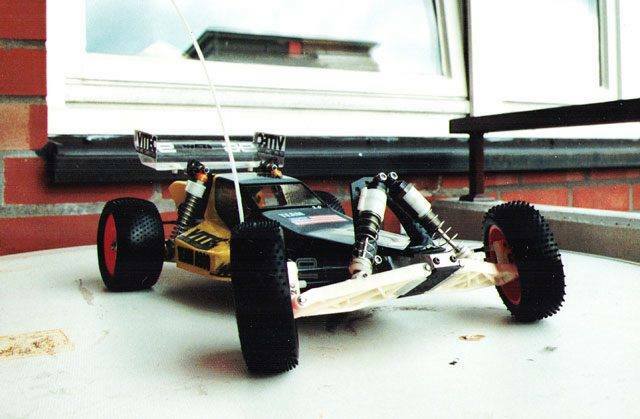 The racing influence was so great, I made an education as a precision mechanic at Philips after school – only with the vision in mind to make my own RC car parts. I learned to program the CNC machines and I spent a lot of time during my education making my own RC car parts. And as a result, my parts looked more and more professional. After my education, I had many different jobs. I worked for a few years as bike messenger, then as operator in the electronic industry, then I assembled electronic endoscopes in the medicine industry and then I worked as SFX specialist for the commercial film industry. I was never really happy with those jobs. So I decided at the age of 30 to go back to school and learn something right to have a future, where I can be happy with my work. I studied mechanical engineering. RC4: Then you became RC designer, a dream come true ? MV: Yes. Directly after my study I went with my family from Hamburg to Vienna/Austria, where I worked for an Austrian company (Robitronic). I designed my first RC car there. A touring car, named AVID. I also made the Scalpel, a 1:18 pan car there. I also made the design for many other things, like option parts, cases for electronic devices, tools and many more. But after 2 years I realized, that I need to work as freelancer to be happy. And to live and work in Vienna did not made me happy. We went back to Hamburg 2007, where I opened my own design office – Revolution Design. RC4: What brands did you work for? What projects make you feel proud of you or the result, and of course why? 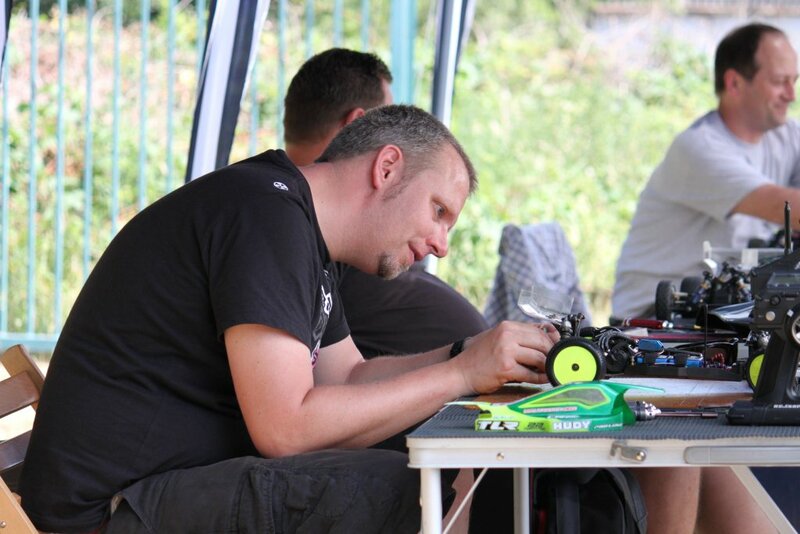 MV: I worked for many companies: Serpent, Kingstar, Kyosho, Axial, Hörmann, Venom, Horizon Hobby, JConcepts, Team Durango, Arrowmax, Carisma, Vampire Racing, RDRP and many others. 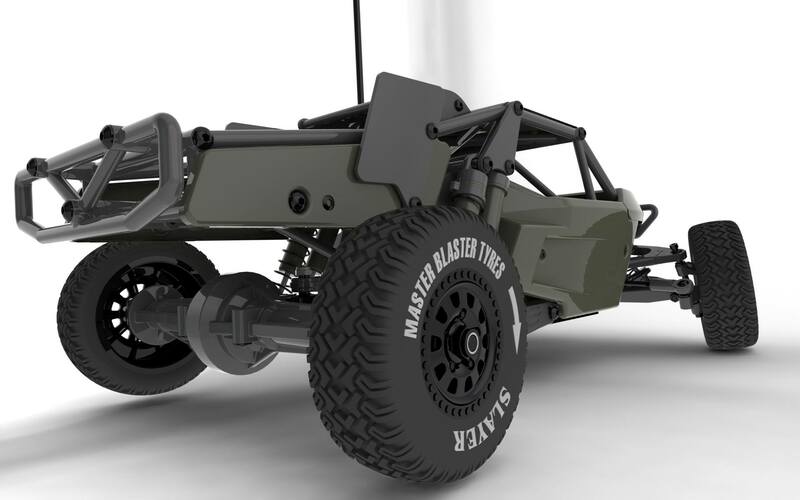 I designed nearly every type of RC cars over the last years. No matter what scale, or how it is powered. Of course I am very proud about the Team Durango DEX410. This car was a revolution at that time. Metal gears, gear diffs, the layout. This buggy has so many features against other products. And in the hands of Jörn Neumann it had some excellent results. Reedy Race winner and countless other international results are things that makes me happy. The other car is the DEX210, that has the most copied design ever – LOL! I was also proud of the Serpent S120 – it has a very special rear axle design and was maybe the most advanced T-bar type 1:12 car ever. But if you work for a company, you must make what the company wants. So there are some cars that I am not super happy with. As designer you always want the best – the company wants maximum profit. If they cut costs it is mostly the beginning of the end. And at the end of the day, they make a car with too many compromises. That was one reason why I left Team Durango a few years ago. RC4: Today you're still RC designer, who are you working for and can you present us the company ? MV: Yes, I am still a freelancer designer. At the moment I work for some different companies, but I am not allowed to name them. 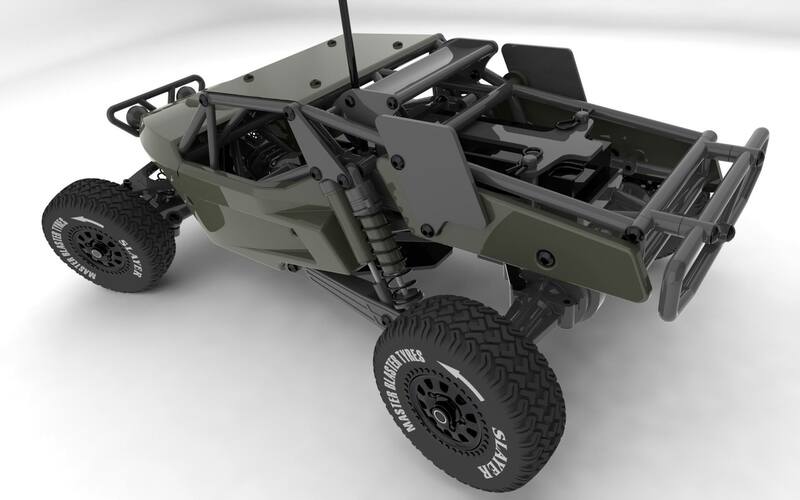 What I can tell you is that I am working on the new Carisma Racing 4XS 4WD buggy at the moment. We have been at the testing stage for some months and the results of the performance are pretty good so far. RC4: You've been posting on Facebook a very nice kinda innovative looking short course, can you tell us more about it? How did it came to your mind? No technical constraints? Is this going to be released some day or is it just an exercise of style? MV: This car was a project which never came into the production stage. I made that some years ago. It is a 1:16th scale car. I am not only designing racing cars. A lot of my projects are RTR cars. To be honest, that's much more fun, because you are more free about the design and there are not so tight rules. 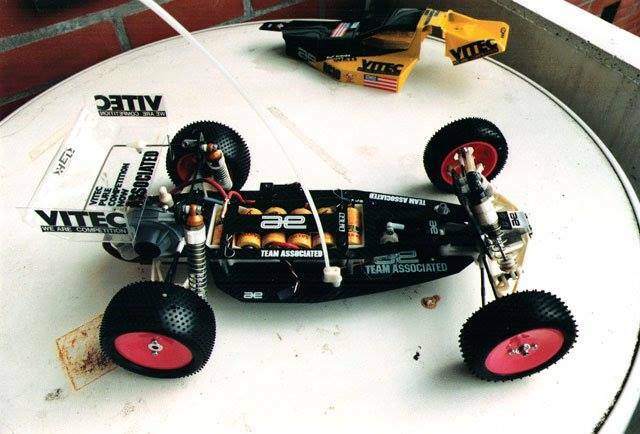 I came into RC during what some people call “golden years of RC” – back in the 80´s and 90´s, where companies like Tamiya and Kyosho made huge profit with many iconic RC cars. Those cars was often not made for racing and you felt, many cars were not very serious and much more focused of look, feel and fun. Unfortunately most of those companies lost the feeling for their products until today. They simply lost their identity. I feel we need to bring back this stuff with more realistic and fun-orientated RC cars. Cars which can also look cool and shine on your shelf. Cars you remember good times with many years later. I always try to explain that to my clients and it is not easy, because many of them are simply too young to remember the “good old times” back in the 80´s. They need to understand that they have with every new project a new chance. Today, there are so many great chances to make something special – no matter if it´s a racer, or a RTR car. If I visit a hobby shop today, it is really sad to see what they offer. It seems, all companies want only sell super cheap stuff. Copies of copies of copies. Cheap, cheaper, supercheap. Is this what we want? How can we cherish a RC car, what costs 59 Euros including radio? People consume this product and throw it away, when it is broken after the 5th run. We need to bring back quality, style and fun to RC to let the industry survive. RC4: Any secret projects for the near future? MV: Oh, yes! My hero is Akira Kogowa, the designer of the Kyosho Scorpion, Optima, Baja 5B, HPI Micro RS4 and countless other models. I had the chance to meet him and it's simply amazing, what he did and is still doing! He is a great allrounder. Of course other heroes are Gene Husting, Roger Curtis and Cliff Lett, who build Team Associated. Gil Losi Jr. of course. I am not often at big races, so I can not name some team managers. But I like the way of Jason Ruona from JConcepts. Jason is a very smart guy with brilliant ideas and a great marketing. RC4: This is a free space for you, anything you would like to add or say to all our viewers out there? 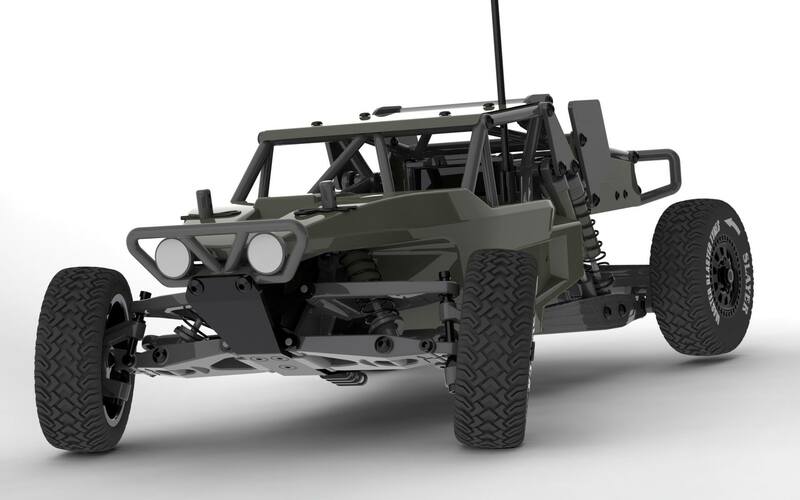 MV: Dreamjob RC Car Designer? Yes and no! 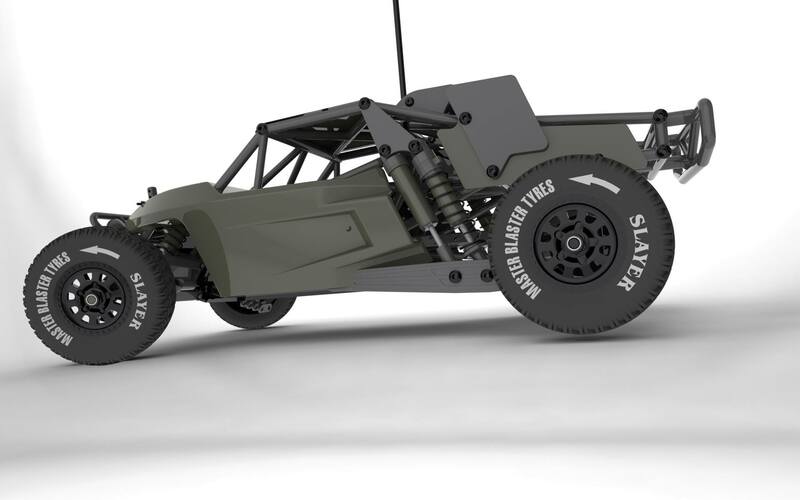 If you spend the whole week making drawings for RC products, do you want to spend the whole weekend on the track? 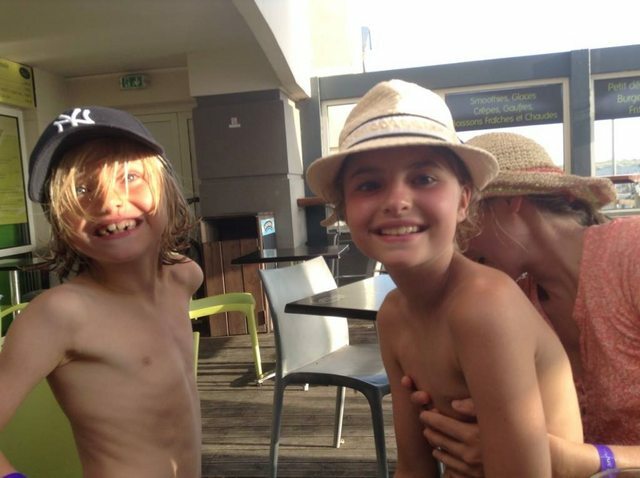 I have have a family with 2 great kids and it makes me happy that they bring my thoughts back to real life. It makes me pround to see all my products win races around the world, no matter from what company. But my work/live-balance is not perfect. Either too much work, or not enough work. As freelancer it is always hard. But that is far better than everything else I have done in my life. RC4: RC4ever.com wants to thank you for this short interview, it's really interesting to talk directly to designers like you who work behind the scene. We wish you all the best and can't wait to follow your next projects via the social media!